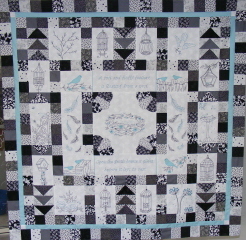 At last I have finished my black/white/aqua version of On Freedom’s Wings for you to see. 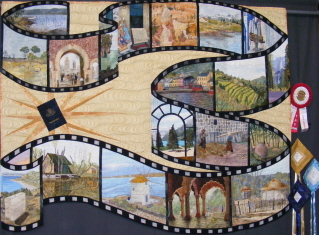 It is currently at the quilters and I can’t wait for it to come back. 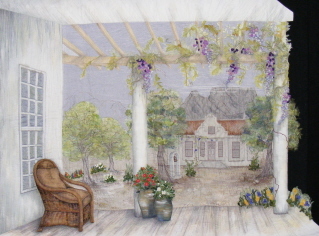 This picture is of the country version that Blue Willow Cottage have made. Doesn’t it look different. 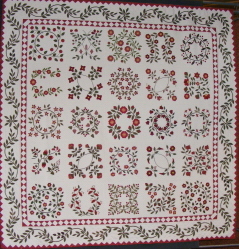 I think this quilt would look good in any fabric range, it can be made fresh/country/chic, the possibilities are endless. I would love to see any of your versions of this quilt. 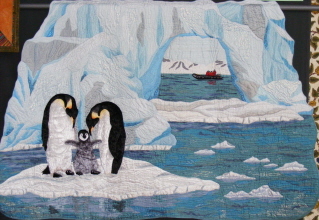 Now that winter isn’t far away I’m sure you are all busy stitching & quilting. There is nothing nicer than sitting under a lovely warm quilt while adding its finishing touches. What a busy last few weeks it has been. Two shows over 2 weeks, firstly though the AQC. 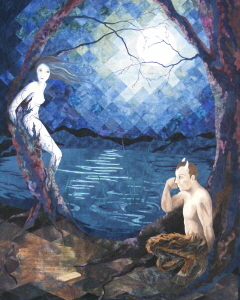 Some very inspiring and well presented quilts. It was a busy show with lots of shops in attendance as well as many quilters through the doors. Shoppers/quilters version of heaven! 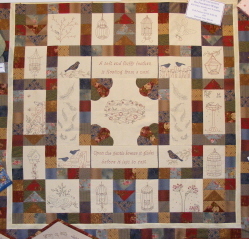 I have taken a few pictures of some of my favourite quilts that were on show. There were so many so I’ll just show you a few. It was great to catch up with lots of friends & acquaintances too. Then the Stitches & Craft Show was the following week. This is a fantastic show highlighting some of our very talented bloggers/crafters/designers. It is a great show for anyone who is interested in starting a craft, either scrapbooking, sewing, embroidery, knitting & crotchet, to name a few. My daughter (Miss 10 almost 11) had an absolute ball in the Make & Take area where she recycled a denim skirt into a handbag and embellished it a little. She was so pleased with her new creation. 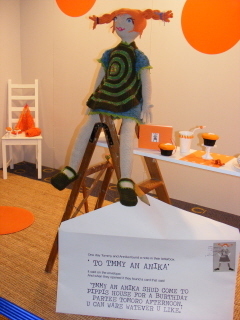 She also made a few other pieces on the craft bars (which are all free) and loved the Pippi Longstocking display. Stay tuned for my next post with a couple of versions of On Freedom’s Wings. Bye for now.